Join us at the Learning Center! Email us your paper (writinglab@grace.edu) along with the specific description of the assignment. We will comment on the paper in regards to purpose, organizational structure, internal organization, format, and patterns of grammatical error. The goal of the Writing Lab is to equip students with the communication tools necessary to develop stronger academic writing. Tutors do not correct, revise or edit student writing. They aim to guide and empower students toward becoming better independent writers. 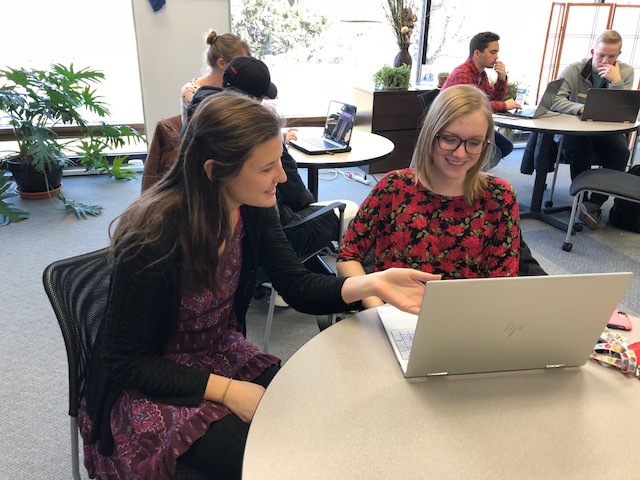 The Writing Lab is a student-to-student help available to all students desiring help with writing, including ESL tutoring. All services are offered at no cost to students. The Writing Lab is available to students from any discipline for help with any stage of the writing process. Tutors focus on assignment fulfillment, content, organization, and areas for which suggestions on improvement can be made. The Writing Lab does not proofread papers; tutors help students learn how to recognize problems or errors and self-edit. Help is available with MLA, APA and other formatting as well as with grammar skills. Writing resources (style/formatting manuals) and skills software are available for student use as well. 80-95% of college students procrastinate; about 75% consider themselves procrastinators, and nearly 50% indicate they procrastinate enough to hamper their progress. 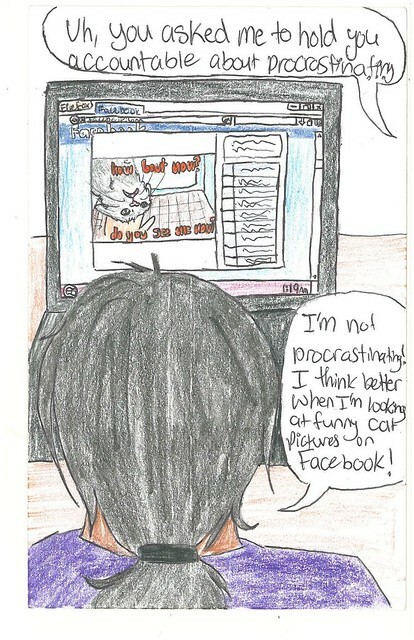 Procrastination doesn’t indicate laziness or lack of discipline, but results from unproductive and deep-seated habits. Look at your schedule as soon as you receive the assignment and decide when you have time to do it so that it will be completed several days before the actual due date. Start the assignment the day it is assigned. Break up the larger assignment into smaller sections that don't seem quite so overwhelming. Find a place free from distractions to work. Turn off your phone or put it out of sight. Don't get online unless it is required to complete the assignment. Set goals and make steps to accomplish them before spending time with friends or doing other enjoyable activities. 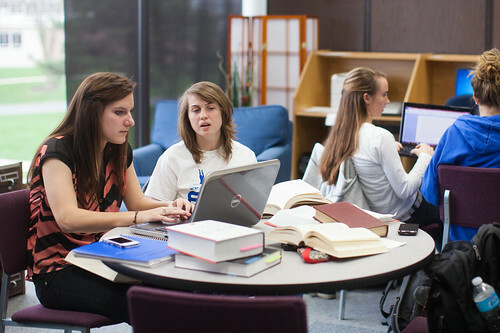 Join a study group so you will feel accountable to accomplish assignments before the meeting. Or, ask a friend to check in on you to make sure you are doing what you said you would. Learn to say no to additional commitments, especially if you have things that need to get done. Look at each subject and decide what your favorite subject is. Save this assignment for last so that you are looking forward to completing it. Alternate subjects so that you don't get bored or tired from studying one subject all at once. Reward yourself after a certain task or assignment is completed. If less than perfect is not acceptable to you, starting a project can seem impossible. Therefore, give yourself some room for failure. Examine the reasons why you believe you must be perfect. Recognize that no one is perfect and you are going to mess up at times. Give yourself some grace. You may have trouble starting a task because you are convinced you will not succeed. Don't let this fear rule you! You will certainly not succeed if you never get started. Sometimes the project you need to do just looks too big. It's hard to start something that threatens to eat your soul. So break it up into manageable steps. It's still a big undertaking, but now at least it looks doable. If you've been sitting at your desk for a long time and feel like you haven't accomplished very much, take a short break. Do 20 jumping jacks or 5 push ups (or baby push-ups if you need to). Getting the blood flowing will increase your productivity and break the cycle of procrastination. If you are studying in a public place and don't wish to draw attention to yourself, get up and walk around for a minute. Any movement helps. --Try to justify doing something else by saying it will help you with your homework. Example: "I need to finish watching Bill and Ted's Excellent Adventure because it will help me study for my history test." There are many different reasons for doing things. If you are having trouble getting a job done, think about why it is important to you. Is it a step in achieving your life goals? What value does it have in itself? Once you have identified the significance of the task, it may be easier to begin the necessary steps to accomplish it. Take responsibility for how you spend your time! Examine yourself to unearth bad habits. Don't talk about it; be about it! The hardest part of a job is getting started. It is easy to think of all the reasons not to start, and all the activities that would be preferable to starting. But frequently, if you go ahead and force yourself to begin the task, you will find it is not as bad as you had feared. Every time this happens, make a mental note of it so that the next time you need to start a project you can call to mind the positive experiences of starting. Carter, Carol, Joyce Bishop, and Sarah Lyman. Kravits. Keys to College Studying: Becoming an Active Thinker. Upper Saddle River, NJ: Pearson/Prentice Hall, 2007. Print. ESV: Study Bible : English Standard Version. Wheaton, IL: Crossway Bibles, 2007. Print.